Several new additions to the library at Winkelman Abbey. The titles by Yang, Palmer, Jemisin and Dickinson I ordered from Books and Mortar here in Grand Rapids. 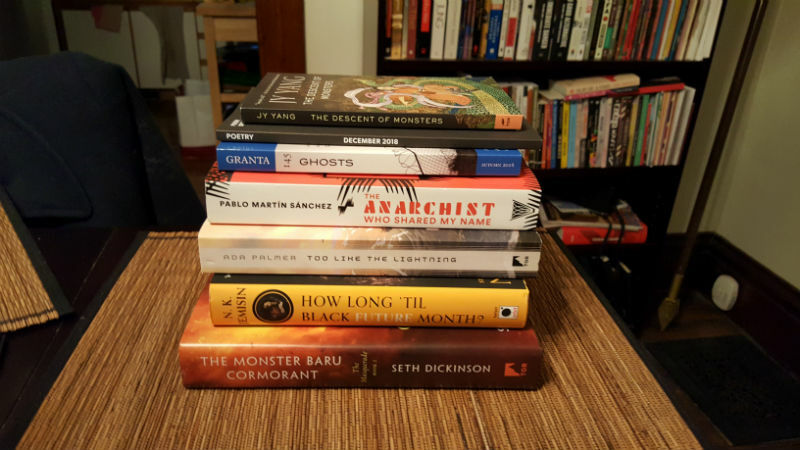 The Sanchez in the latest from my subscription to Deep Vellum, and Granta and Poetry round out the haul. Subscriptions are the best. So are superb local bookstores.